If you’re one of the millions who struggle to hold back from the temptations of the festive season, you should also be applying some ice to your wrists. That’s the verdict of leading psychologist Jo Hemmings. Jo – who is a regular on TV shows reckons a chilly dab can be the perfect foil to our biggest festive desires. She explains: “The reward centre sends out an initial positive message when we give in to these cravings and so it becomes incredibly difficult to resist. Jo was giving her top tips for not giving in to temptation over the busy Christmas period – and speaking in particular about avoiding the urge for cigarettes. As the festive season approaches, it can feel increasingly difficult to go smoke-free or stay on track if you have recently decided to give up smoking. But fear not! Below, Jo has given five key strategies you can put in place that will help you cope with the increased pressure of picking up a cigarette during the upcoming festive period. Holdmylight.co.uk is a new and exciting approach to help smokers give up cigarettes for a month with the added help of incentives from friends. It’s ideal for those looking to create a goal focused plan. Jo says: “There are definite trigger points that reduce our resistance and willpower, so often the key is to either adopt coping mechanisms that will make those situations a little easier to deal with or change your habits and create a new routine. “Triggers can range from smoking shelters and too much alcohol to simply surrounding yourself with friends who smoke. “When friends or family go outside for a cigarette, have an escape route planned. For example, call a friend or go to the loo to top up your makeup and break that routine of heading to the designated smoking spot. 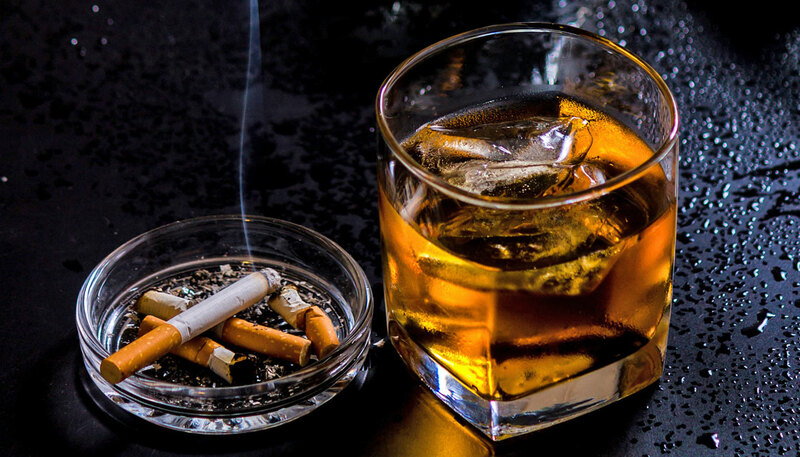 “It’s also not the easiest time of year to regulate your alcohol intake, but given that booze is the number one reason people succumb to having a cigarette, it’s worth monitoring your drinking, by maybe having a soft drink between glasses of your tipple, to help keep your resolve. Jo says positive moral support from family and friends can be invaluable and feels having someone gently encouraging in a non- judgmental manner, will be incredibly beneficial through the Christmas period. The Hold My Light campaign is centred around enrolling friends, family or colleagues to help you give up cigarettes and provides smokers with a choice of ways to go smoke-free. More information can be found on the Hold My Light website. With support from those around you, you can go completely smoke-free either through sheer willpower or by using smoking cessation aids such as nicotine patches and gums. Jo says: “Throw out all of your lighters, old packets of cigarettes and ashtrays. If you have to turn down a few party invites over Christmas to make going smoke-free a little easier, then do it. You are not being a party-pooper and can go to them next year when they will feel much more manageable.